Healthcare institutions are highly dynamic and complex places where medical practitioners, patients, and equipment need to be tracked and kept secure. At the same time, the medical sector is also under pressure to continuously maintain compliance while enhancing the level of care and patient satisfaction. As a result, the industry is embracing the digital disruption that’s transforming the world. This digital revolution in healthcare will be driven by the Internet of Things (IoT) and mobile technology that’s heavily dependent on wireless networks. So how will the healthcare industry be transformed? What are the challenges? Let’s take a look. The network load will grow at an exponential rate. Patients and staff will expect to have access to the wireless network from personal mobile devices, further burdening the capacity of the wireless network and presenting additional security challenges. Patient experience and satisfaction were always core principles in healthcare, but now medical facilities are faced with achieving satisfaction scores that have a direct impact on their bottom line. The management of patient satisfaction is key to the value-based incentive program by which all healthcare institutions are measured. In fact, 84% of health leaders rank patient experience among their top three priorities. Patient satisfaction will continue to be measured using the Hospital Consumer Assessment of Healthcare Providers and Systems (HCAHPS) survey. The goal is to enable consumer choice by giving the public a valid comparison of hospitals based on critical aspects of the hospital experience from the patient’s perspective. The lack of technology inside a patient room can be a real frustration point for patients. A robust wireless network enables medical staff to deliver improved patient care with quick access to patient information, streamlines communication, and improves staff efficiency. But open Wi-Fi networks can lead to major security issues with serious consequences. Data breaches can cost the industry as much as $6.2 billion per year. In fact, 90% of healthcare facilities surveyed by the Ponemon Institute had experienced a data breach over a two year period with 45% enduring more than five data breaches during the same period (with the average cost of an attack totaling $2.2 million). HER’s contain a lot of sensitive information like insurance billing details, credit card numbers, social security numbers, and other personal and private content. It’s highly attractive for cybercriminals as this data can fetch up to $15 per record on the black market. So a major incident like last year’s hack at 21st Century Oncology in Fort Myers, Florida, where 2.2 million patient records were stolen can yield a significant payoff. But it doesn’t stop there, as wireless networks can also leave healthcare providers vulnerable to ransomware attacks (hospitals are hit with 88% of all ransomware attacks) and hacks of connected devices (mobile devices, glucose monitors, heart monitors, etc.). Not having a wireless network isn’t an option. It is estimated that this year there will more than 7 billion new Wi-Fi enabled devices. The majority of medical devices are now Wi-Fi capable. 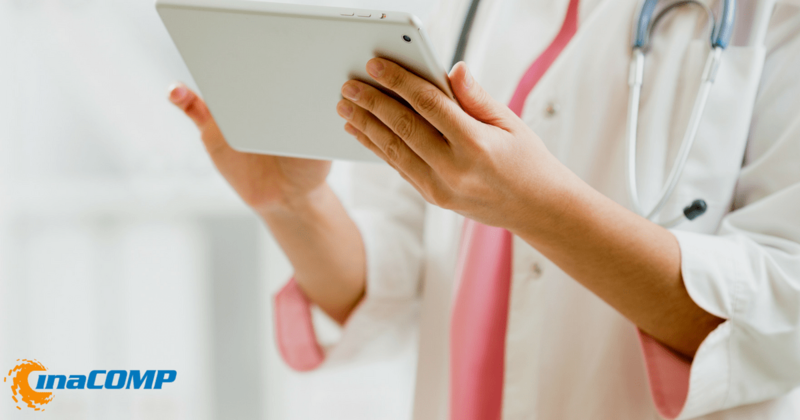 In order to meet the needs of the current healthcare environment, a wireless network solution must be carefully planned before it’s implemented, in order to achieve the performance and scalability required. Keeping patient records, medical devices, and facilities secure requires an ongoing effort to maintain robust wireless network security in the face of a cyber threat landscape that is more complex and sophisticated than ever before. With the widespread increase in the number of healthcare hacks and data leaks, healthcare organizations must address their vulnerabilities and take steps to strengthen their network security.